John came to our office distraught after receiving a notice of decision from USCIS indicating that his wife’s green card application was being denied, because the evidence John had submitted with the application was not sufficient to establish his wife’s eligibility for adjustment of status. 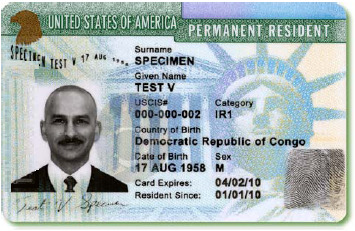 Specifically, John had failed to provide the necessary documents for the I-864 Affidavit of Support, a form that must be filed along with the green card application to show that the U.S. Citizen Spouse or joint sponsor can financially support the intended beneficiary (in this case his wife), as well as to prove that the beneficiary will not rely on the government for financial support. The I-864 Affidavit of Support is very important for adjustment of status petitions. Failure to properly complete the I-864, and provide the necessary documents to prove that the petitioner is capable of financially supporting the beneficiary will result in a denial of the I-485 Application to Register Permanent Residence or Adjust Status. During our consultation, John, the U.S. Citizen spouse, told us that he completed his wife’s green card application himself, and compiled what he thought were the documents necessary to go along with the application. Much to his surprise, he discovered that he had not completed the I-864 Affidavit of Support correctly, and had not included the proper documentation with the application. Because of this, his wife’s green card application was being denied, even though he did indeed have the financial means to support his spouse and had the necessary documentation to prove it. Unfortunately, John did not do his homework to research how to complete the I-864 Affidavit of Support properly, and did not understand what documents he needed to include to prove his financial ability to provide for his spouse. Like many people, John thought that it was best to save himself some money and file his wife’s green card application himself without having to pay a lawyer to complete the paperwork. He told himself how hard can it be? While it is true that many people successfully file their green card applications on their own, it is important to know that if you decide to do the application yourself, you must read the instructions of each form to be filed with the I-485 application very carefully. Failure to do so is likely to result in the denial of your application. In that sense, you may be doing yourself a disservice by filing on your own. Lawyers have the knowledge and expertise to file a green card application seamlessly. Like many others, in John’s case he did not read the instructions for the I-864 Affidavit of Support carefully, resulting in the denial of his wife’s application. During our consultation, we asked John if he had made a copy of the green card application he had sent to USCIS for his own records. He told us that he had not. Luckily in John’s case, the Notice of Denial was detailed enough to outline the documents he had failed to include in his wife’s application, however we were unable to anticipate what additional documents John and his spouse might need to present at the time of the interview, since we did not have a copy of the case to see which supporting documents John had already provided to USCIS. Our office was able to salvage his wife’s adjustment of status petition by filing a Form I-290B Motion to Reopen his wife’s case. A motion to reopen must be filed within 30 days from the date of the notice, or 33 days if the notice was received by mail, and a filing fee of $675 must be included with the motion. Although John came to our office with little time left to file the motion to reopen, our office moved swiftly to file the motion before the deadline. If John had not come to us by the deadline, he would not have been able to file a motion to reopen, and his wife would have been forced to re-file the adjustment of status application, wasting his valuable time and money. In the motion to reopen we explained our client’s missteps, provided an amended I-864 Affidavit of Support with the correct information, and included the necessary documents to prove that our client was financially capable of supporting his spouse. Such documents included an income explanation letter, copies of John’s federal income tax returns for the last 3 years, a copy of his most recent W2’s, and copies of his bank statements for the last 6 months, etcetera. The motion to reopen was approved by USCIS, and his spouse received an initial interview notice within a few weeks of the approval. Had John hired a lawyer to file his wife’s application from the beginning, his wife’s application would not have been denied. John ended up wasting more money in the long run and delayed the receipt of his wife’s green card, by filing her application himself. In summary, if you have not done your homework or do not fully understand the requirements of a green card application, always seek the help of an immigration lawyer. For more information about the adjustment of status application please visit our website.